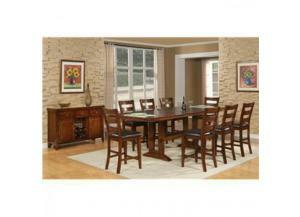 For a casual feel in your dining room, furnish it with this magnificent table and chair set. The pub table has a stylized trestle base and clean straight edges. It also has two removable leaves to accommodate parties of all sizes. Use this table as a formal dining table or as a casual piece. The pub chairs in this set feature sleek straight lines and a comfortable upholstered seat. 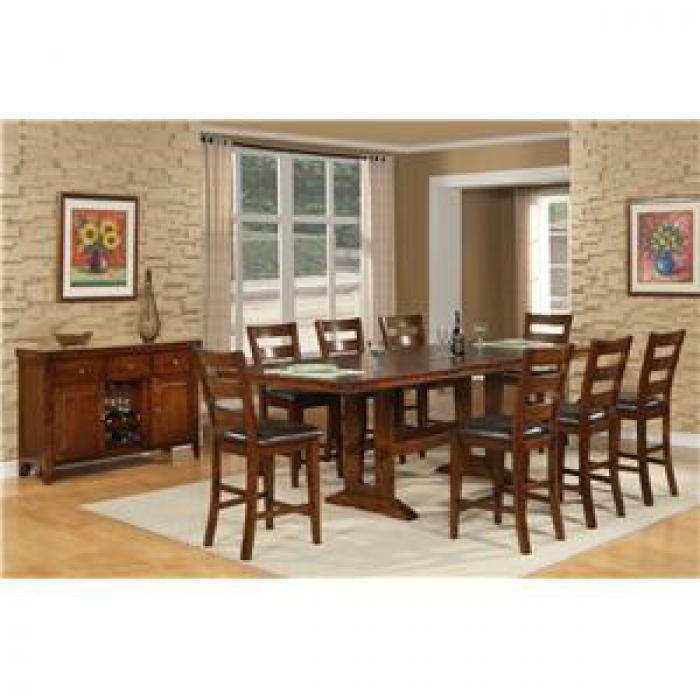 Entertain your guests with this sophisticated furniture set.